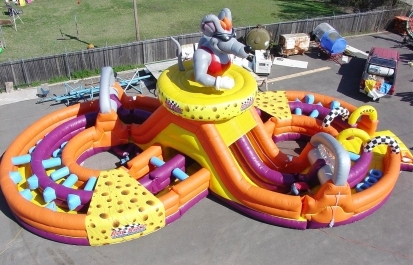 Two opponents will race each other in our newest obstacle course to date! It is huge – larger than Ironman and more intense! 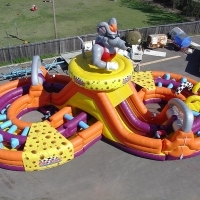 Tire Race, Shoulder Obstacles, Tube Run and Slide are just part of the race! You think rats have it bad – just wait, you will want to run through again and again….even without any cheese!